The evolution of the Metro Rail has totally changed the dynamics associated with travelling in a busy urban space. With so much of traffic to juggle to beat on the road, life can be besieged by peril nightmare, whilst commuting to meet the basic needs of our lives- be it studying or working. In a rapidly changing and evolving city amidst the bustling noise, growing population and menacing hurricanes called weekdays and weekends, life can be tough and unforgiving if you are living in Delhi, Mumbai, Bangalore or any other metro city of India. But, today, thanks to the augmentation and development of the highly successful metro rail, our lives have been blessed with just the thing we needed to beat away the blues concerned with everyday commuting and travelling hazards. Taking cognizance of all that the metro rail stands for by giving a platform for daily commuters from the vastly spread populace of urban living, we take a look at the 5 great reasons to be in a Metro Rail. You would rather succumb to a really bad turning of fate than to see the everyday precious hours of your life being devoid of some life and purpose all because of traffic jams. At times, the conditions out on the road can be so offending that to some, it may just seem like another invalid reason to develop tension, stress or anger. 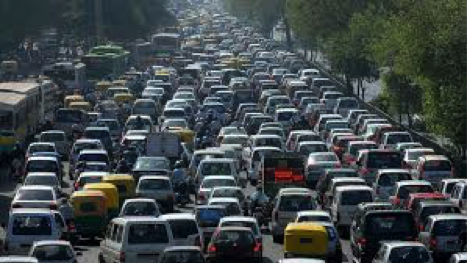 Most of the times, when we chance upon the unforgiving painful experience of a jam, we soon discover it is neither caused by our fault, nor that of the cars piling in front of us. In either case, its best to beat the travelling blues by opting for the minimalistic demands of the ever friendly metro. You will soon find that not only are you saved of the wrath of anger that stems from being stuck in mindless jams on road, but happier than ever by having saved precious number of hours for your own self that were earlier lost on the road. We are leading highly unimaginative, busy, routine and at times, breath snatching annoying lives by focussing the same routine rule of everyday existence. In such situations, we often lose track of the small and meaningful purpose that harmless but positive imagination throws at us. Just sit back at ease in a metro journey and observe the various multitudes of lives around you. Life, after all is about summing up the simple pleasures that otherwise expensive heaps of currency cannot buy. And you will find that the easy sight of a mother cajoling her son or that of friends celebrating with a selfie, that life is but a packet of splendour that we must, at times unleash on ourselves. At times, we find ourselves so stuck with routine tasks at hand that there hardly ever is any time left to contemplate for our future. So you are part of a corporate life, working ever so hard to get on to your own feet to make a name for yourself. Fledgling, the breaking away of birds from a confirmed route in order to scout for an independent wing of life, cannot alone be entitled to birds. It applies to us humans as well. By travelling by a metro you can isolate yourself from the tedious task of commuting, prevalent in everyday life. In so doing, you will associate yourself with the real firsthand experience of how people think, talk, communicate and in short, express themselves. A metro is a great place for people to people conversation. It is all about unfurling interesting parallel journeys around you and some of the best insights of life can be observed by travelling in a metro. Who knows, this may be underpinned by a great idea discovery that you have been looking for. Hop on then, for a glorious ride. 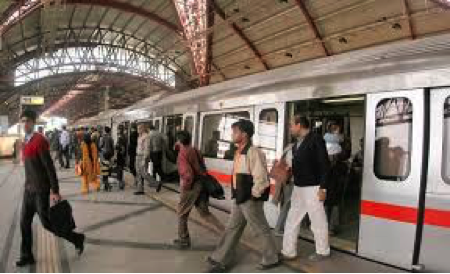 For a city like Delhi that has as many as 142 metro stations out of which 35 are underground and spread at an exasperating length of almost 190 kilometres, just gives us a fair idea of this seamlessly connected giant of urban mass transportation. In a nutshell, places that you had been avoiding hitherto on account of lack of any last mile connectivity are just reduced to being station names on the metro station chart. You can travel the distance and connect and bond with whosoever you like or wish to meet. You no longer need to nag about the far reaching places that had vanished off your radar on account of the sheer distance constraint. People today, are making their lives and running happy households by meeting ends meet through their everyday metro travel.